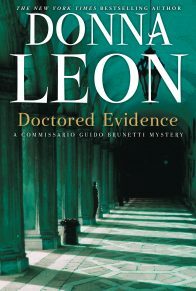 The landmark twentieth novel in the celebrated Commissario Guido Brunetti series. Nearly twenty years ago, when a conductor was poisoned and the Questura sent a man to investigate, readers first met Commissario Guido Brunetti. 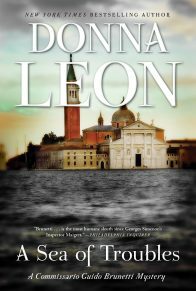 Since 1992’s Death at La Fenice, Donna Leon and her shrewd, sophisticated, and compassionate investigator have been delighting readers around the world. 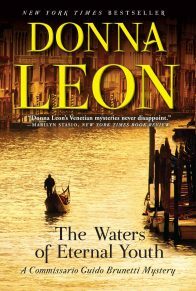 For her millions of fans, Leon’s novels have opened a window into the private Venice of her citizens, a world of incomparable beauty, family intimacy, shocking crime, and insidious corruption. This internationally acclaimed, bestselling series is widely considered one of the best ever written, and Atlantic Monthly Press is thrilled to be publishing the twentieth installment, Drawing Conclusions, this spring. Late one night, Brunetti is called away from dinner to investigate the death of a widow in her modest apartment. Though there are some signs of a struggle, the medical examiner rules that she died of a heart attack. It seems there is nothing for Brunetti to investigate. But he can’t shake the feeling that something or someone may have triggered her heart attack, that perhaps the woman was threatened. Conversations with the woman’s son, her upstairs neighbor, and the nun in charge of the old-age home where she volunteered, do little to satisfy Brunetti’s nagging curiosity. With the help of Inspector Vianello and the ever-resourceful Signorina Elettra, perhaps Brunetti can get to the truth and find some measure of justice. 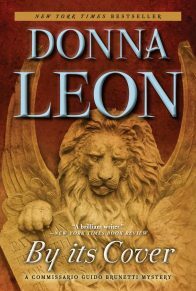 Insightful and emotionally powerful, Drawing Conclusions reaffirms Donna Leon’s status as one of the masters of literary crime fiction. Because she had worked for decades as a translator of fiction and non-fiction from English and German to Italian, Anna Maria Giusti was familiar with a wide range of subjects. Her most recent translation had been an American self-help book about how to deal with conflicting emotions. Though the superficial idiocies she had encountered—which had always sounded sillier when she put them into Italian—had occasionally reduced her to giggles, some of the text returned to her now, as she climbed the stairs to her apartment. “Different” seemed an inadequate word to describe Palermo and what she had found there. “Alien,” “exotic,” “foreign”: not even these words did justice to what she had experienced, yet how explain it? Did they not all carry telefonini? Was not everyone she met exquisitely well dressed and equally well mannered? Nor was it a question of language, for they all spoke an Italian more elegant than anything she heard from her Veneto-cadenced family and friends. Nor financial, for the wealth of Nico’s family was on view at every turn. 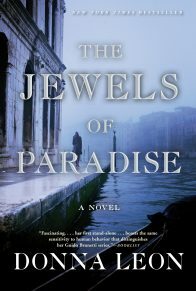 She had gone to Palermo in order to meet his family, believing he would take her to stay with them, yet she had spent her five nights in a hotel, one with more stars awarded it than her own translator’s earnings would have permitted her, had the hotel accepted her insistence that she be allowed to pay the bill. “No, Dottoressa,” the smiling hotel director had told her, “L’Avvocato has seen to it.” Nico’s father. “L’Avvocato.” She had started by calling him “dottore,” which honorific he had dismissed with a wave of his hand, as though her attempt at deference had been a fly. “Avvocato” had refused to fall from her lips, and so she had settled on “Lei” and had used the formal pronoun, after that, for everyone in his family. Nico had warned her that it would not be easy, but he had not prepared her for what she was to experience during the week. He was deferential to his parents: had she seen this behaviour in anyone other than the man she thought she loved, she would have described it as fawning. He kissed his mother’s hand when she came into the room and got to his feet when his father entered. One night, she had refused to attend the family dinner; he had taken her back to the hotel after their own nervous meal together, kissed her in the lobby, and waited while she got into the elevator before going meekly back to sleep in his parents’ palazzo. When she demanded the next day to know what was going on, he had replied that he was the product of where he lived, and this was the way people behaved. That afternoon, when he drove her back to the hotel and said he’d pick her up at eight for dinner, she had smiled and said goodbye to him at the hotel entrance, gone inside and told the young man at the desk that she was checking out. She went to her room, packed, called for a taxi, and left a note for Nico with the concierge. The only seat on the evening plane to Venice was in business class, but she was happy to pay it, thinking it took the place of at least part of the hotel bill she had not been allowed to pay. Her bag was heavy and made a loud noise when she set it down on the first landing. Giorgio Bruscutti, the older son of her neighbours, had left his sports shoes on the landing, but tonight she was almost happy to see them: proof that she was home. She lifted the bag and carried it up to the second landing, where she found, as she had expected, neatly tied bundles of Famiglia cristiana and Il Giornale. Signor Volpe, who had become an ardent ecologist in his old age, always left their paper for recycling outside the door on Sunday evening, even though there was no need to take it out until Tuesday morning. So pleased was she to see this sign of normal life that she forgot to pass her automatic judgement that the garbage was the best place for both of those publications. The third landing was empty, as was the table to the left of the door. This was a disappointment to Anna Maria: it meant either that nothing had arrived in the mail for her during the last week—which she could not believe—or that Signora Altavilla had forgotten to leave Anna Maria’s post for her to find when she got back. She looked at her watch and saw that it was almost ten. She knew the older woman stayed up late: they had once each confessed to the other that the greatest joy of living alone was the freedom to stay up reading in bed for as long as they pleased. She stepped back from the door to Signora Altavilla’s apartment and looked to see if light filtered from beneath the door, but the landing light made it impossible to detect. She approached the door and placed her ear against it, hoping to hear some sound from within: even the television would indicate that Signora Altavilla was still awake. Disappointed at the silence, she picked up her bag and set it down loudly on the tiles. She listened, but no sound from inside followed it. She picked it up again and started up the steps, careful to let the edge of the bag bang against the back of the first step, louder this time. Up the stairs she went, making so much noise with the bag that, had she heard someone else do it, she would have made some passing reflection on human thoughtlessness or stuck her head out of the door to see what was wrong. At the top of the steps she set the bag down again. She found her key and opened the door to her own apartment, and as it opened, she felt herself flooded with peace and certainty. Everything inside was hers, and in these rooms she decided what she would do and when and how. She had no one’s rules to obey and no one’s hand to kiss, and at that thought all doubt ended, and she was certain she had done the right thing in leaving Palermo, leaving Nico, and ending the affair. She switched on the light, looked automatically across the room at the sofa, where the military precision of the cushions assured her that her cleaning lady had been there in her absence. She brought her suitcase inside, closed the door, and let the silence drift across and into her. Home. Anna Maria walked across the room and opened the window and the shutters. Across the campo stood the church of San Giacomo dell’Orio: if its rounded apse had been the prow of a sailing ship, it would have been aimed at her windows, and would soon have been upon her. She moved through the apartment, opening all the windows and pushing back and latching the shutters. She carried her suitcase into the guest room and hoisted it on to the bed, then moved back through the apartment, closing the windows against the chill of the October night. On the dining room table, Anna Maria found a piece of paper with one of Luba’s curiously worded notes and, beside it, the distinctive buff notice that indicated the attempted delivery of a registered letter. “For you came,” the note read. She studied the receipt: it had been left four days before. She had no idea who could have sent her a registered letter: the address given for “mittente” was illegible. Her first thought was a vague fear that some government agency had discovered an irregularity and was informing her that she was under investigation for having done, or failed to do, something or other. The second notice, she knew, would have come two days after this one. Its absence meant that Signora Altavilla, who over the years had become the custodian of her post and deliveries, had signed for the letter and had it downstairs. Curiosity overcame her. She set the receipt on the table and went to her study. From memory, she dialled Signora Altavilla’s number. Better to disturb her this way than to fret until morning about the letter that would turn out, she told herself, to be something innocuous. The phone rang four times without being picked up. She stepped aside and opened the window, leaned out and heard the ringing below. Where could she be at this hour? A film? Occasionally she went with friends, and sometimes she went to babysit her grandchildren, though sometimes the oldest spent the night with her. Anna Maria hung up the phone and returned to the living room. Over the years and even though separated in age by almost two generations, she and the woman downstairs had become good neighbours. Perhaps not good friends: they had never had a meal together, but now and then they met on the street and had a coffee, and there had been many conversations on the stairs. Anna Maria was sometimes called to work as a simultaneous translator at conferences and thus would be away for days, sometimes weeks, at a time. And because Signora Altavilla went to the mountains with her son and his family each July, Anna Maria had her keys, in order to water the plants and, as Signora Altavilla had said when she gave her them, “just in case”. There was a clear understanding that Anna Maria could—indeed, should—go in to get her post whenever she returned from a trip and Signora Altavilla was not at home. She took the keys from the second drawer in the kitchen and, propping her own door open with her handbag, switched on the light and went down the stairs. Though she was certain no one was home, Anna Maria rang the bell. Taboo? Respect for privacy? When there was no answer, she put the key in the lock, but, as often happened with this door, it would not easily turn. She tried again, pulling the door towards her as she turned the key. The pressure of her hand moved the handle down, and when she gave the sudden pull and push the recalcitrant door proved to be unlocked and opened without resistance, pulling her a step forward into the room. Her first thought was to try to recall Costanza’s age: why was she forgetting to lock her door? Why had she never changed it and got una porta blindata that locked automatically when it closed? “Costanza?” she called. “Ci sei?” She stood and listened, but there was no answering call. Without thinking, Anna Maria approached the table opposite the doorway, drawn by the small pile of letters, no more than four or five, and that week’s Espresso. Reading the title of the magazine, it struck her that the light in the hallway was on and that more light was coming down the corridor from the half-open door to the living room, as well as, closer to her, from the open door of the larger bedroom. Signora Altavilla had grown up in post-war Italy, and though marriage had made her both happy and prosperous, she had never unlearned the habits of frugality. Anna Maria, who had grown up in a wealthy family in booming, prosperous Italy, had never learned them. Thus the younger woman had always found quaint the older’s habit of turning off lights whenever she left a room, of wearing two sweaters in the winter, and of expressing real satisfaction when she found a bargain at Billa. “Costanza?” she called again, more to stop her own thoughts than because she believed there would be an answer. In an unconscious attempt to free her hands, she set the keys on top of the letters and stood silent, eyes drawn to the light coming from the open door at the end of the corridor. She took a breath, and then she took a step, and then another and another. She stopped then, and found she could go no farther. Telling herself not to be foolish, she forced herself to lean forward and take a look around the half-open door. “Costan—” she began but slapped her mouth closed with one of her hands when she saw another hand on the floor. And then the arm, and the shoulder, and then the head, or at least the back of the head. And the short white hair. 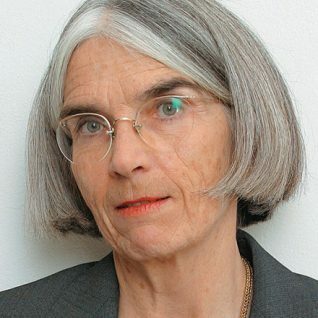 Anna Maria had for years wanted to ask the older woman whether her refusal to have her hair dyed the obligatory red of women her age was another manifestation of her learned frugality or simply acceptance of how her white hair softened the lines of her face, adding to their dignity. She looked down at the motionless woman, at the hand, the arm, the head. And she realized she would never get to ask her now. 1. Who finds Signora Altavilla’s body, and under what circumstances? Why are the police called rather than the hospital, and why is it Brunetti who takes the call? 2. Arriving at Signora Altavilla’s home, Brunetti has a distinct if unsubstantiated feeling that hers “was a troubled death. Not necessarily violent or criminal: only troubled” (p. 19). The pathologist Rizzardi, on the other hand, focuses solely on the physical evidence in the room. Are the two approaches determined by temperament or by profession? 3. At the hospital, Signora Altavilla’s son, Dottore Niccolini, seems “nervous and paralysed” (p. 52). What about his behavior strikes Brunetti as odd? What factors, other than grief, may be at play here? 4. “She believed that one should always tell the truth, regardless of the cost,” Madre Rosa says of Signora Altavilla, adding that such conviction “is a luxury” (p. 73). In what circumstances is telling the truth a luxury? How does the fact that the nun is from the south of Italy shape her opinion on the matter? 5. 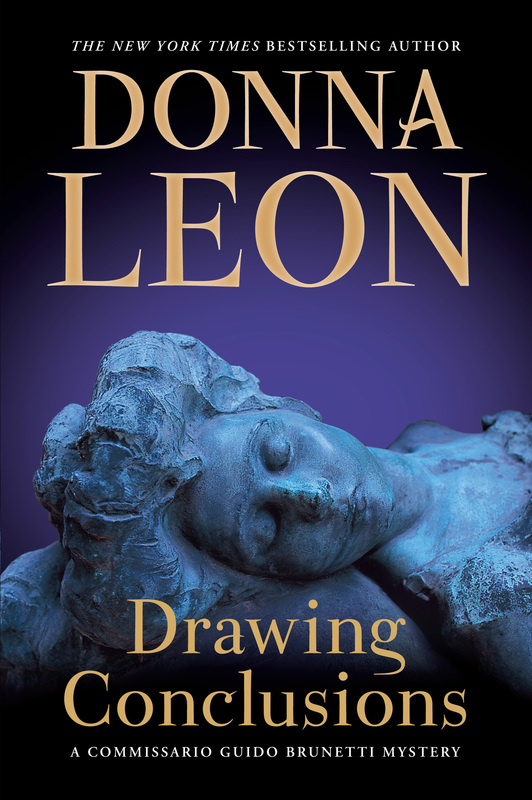 Working with Signorina Elettra, “the line [Brunetti] drew was never straight and was never drawn in the same place twice” (p. 84). What are Signorina Elettra’s unique talents? Why is Brunetti unable—or reluctant—to strictly define her professional role? 6. Whether it’s in their interactions with Madre Rosa or with Signora Giusti, Brunetti and Vianello repeatedly run up against ordinary citizens’ deep distrust of the authorities in general and the police in particular. How do they go about winning back at least some of the credibility they need to perform their work, and are they successful? 7. What kind of organization is Alba Libera? Who does it serve, and how was Signora Altavilla involved? Are such organizations necessary? What can be inferred from the fact that Venetian women generally seem to be familiar with Alba Libera while policemen like Brunetti and Vianello appear to be finding out about it for the first time through this investigation? 8. What was Signora Altavilla’s particular skill that made her so suitable to the task of visiting the elderly at the casa di cura? What are the responsibilities, and the risks, that accompany such an aptitude? 9. What comes of Brunetti’s attempt to speak to Signora Sartori? What, if anything, is he able to gather from her disjointed speech, and what does he do when discovered in the room? Given the situation, is his attempt to extract information from Signora Sartori ethical? Is it justified? 10. After Maddalena Orsoni tells Brunetti the story of her sister’s murder, Brunetti finds himself thinking about “how little chance a person in danger had of getting any sort of protection from the state” (p. 161). Who is best positioned, or most likely, to benefit from the state’s resources? Who is most vulnerable to being neglected? Is this imbalance a purely Italian phenomenon? 11. What types of risks do the volunteers in the Alba Libera network take on when they offer their homes as safe havens? How does Signora Orsoni handle difficult situations when they arise? How does she balance the sometimes competing interests of the victims, the volunteers, and the organization? 12. How were Maria Sartori and Benito Morandi connected to Madame Reynard, and why had they been the subject of much gossip and speculation after her death? What does Brunetti find unusual about Morandi’s apartment purchase? 13. From his interview with the art dealer Turchetti, Brunetti finds out that Morandi understands little about the value of the drawings he has been selling. Is Turchetti wrong to get the best price from Morandi? Why does Brunetti find himself sympathizing with “poor” Morandi? 14. How did Morandi come to possess the drawings? Why does he keep this secret from Signora Sartori? Morandi tells Brunetti that Signora Sartori “never loved me, not really . . . not the way I love her” (p. 255), and that she settled for him only because she was getting older. But Morandi, too, was holding back in their relationship. Did they have a chance at happiness? Did their chance of happiness depend on Morandi’s omissions?